I’m sure you all have heard of “King of the Court,” the basketball game that crowns a one on one winner. 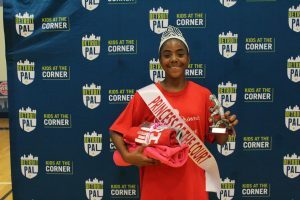 Well, Detroit PAL did its own rendition called “Princess of the Court.” On August 24th, Boysville was filled with young girls who were all trying to be crowned “Princess of the Court.” There were three different age groups competing; a 12U bracket, 14U bracket and an 18U bracket. Each bracket was a single elimination set up and there were two games going on at both sides of the court, until the championship game. For the one on one tournament, each game was eight minutes with a running clock and there were no timeouts. The young ladies gave it their all out there on the court in those eight minutes. Playing for eight minutes straight is not an easy task to accomplish. Here are the results from each age division. 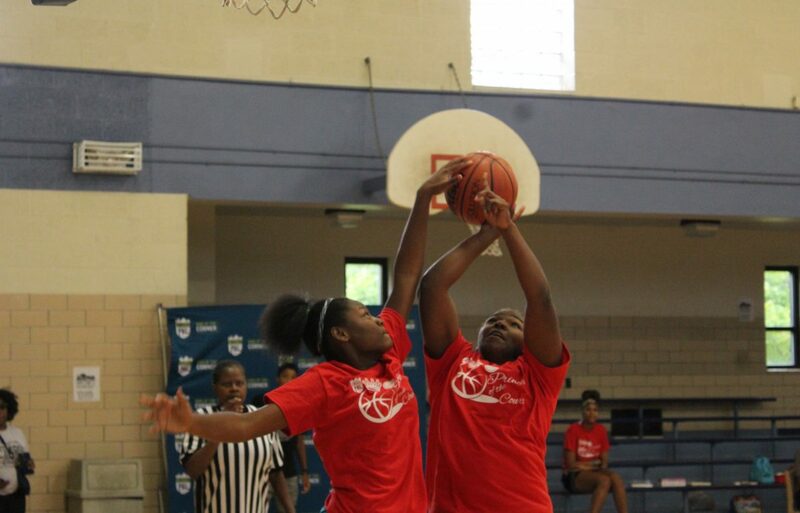 Summer defeated Alexis Halley in the championship game and Summer dominated the whole tournament. Summer was not originally participating in the tournament but she filled in for a participant who was not able to make it. Summer dominated the court wearing her grandmother’s shoes and those certainly weren’t a problem for her! 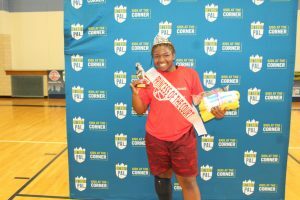 Paris was crowned Princess of the Court after defeating Tiara Morris in the finals. Paris was able to outlast Tiara in the eight minute final, showing her skills off in front of the crowd that filled the bleachers at Boysville. It was an exciting game to watch! she showed resilience, even when she was tired. A huge congratulations to Nia on her victory. 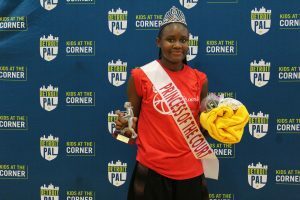 PAL wants to thank all the young ladies who participated in this year’s Princess of the Court tournament and a huge shout out to Stephanie Douglas for putting on this amazing event. A big thanks goes out to her team as well in helping her make this tournament a success!